← Were Adam and Eve Real People? Was the Resurrection Really Supernatural? I was thinking about the Resurrection today. At first blush, we might say it was supernatural – that is – against the laws of nature. Dead means dead, right? There’s no coming back from the dead without supernatural intervention. But hold on! We bring people back from the dead everyday. We no longer call it resurrection but resuscitation. People can go for minutes being clinically dead (sometimes even hours under the right conditions) before being “resurrected”. Here’s something to ponder: If God made the Universe with all its rules, why would He need to cheat at His own game? True, in Jesus’ day, human technology did not exist that could resuscitate a person once they were dead. 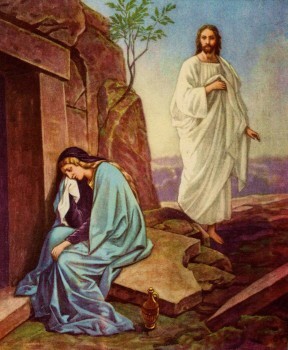 Anyone who returned from the dead after any length of time at all would be considered to be “miraculously resurrected”. Human technology has come a long way since then. Now such a feat is considered commonplace. But even today, resuscitating a person after 36 hours (the approximate length of time Jesus was dead) is well beyond our technology. That is not to say that it is a scientific impossibility. Who knows what we will be able to do in another two thousand years? Some of us (Christians) consider God to be the most advanced intellect in the Universe. Anything Man will be eventually able to do, God has been able to do since Day One. We shouldn’t confuse our technological shortcomings with proof of scientific impossibility. Case in point: Humans can not yet produce new life in a lab, but we all know that life is indeed scientifically possible. Miracles need not be events that violate the laws of nature. I believe that true miracles may all lie in the auspicious timing of otherwise “natural” events. This entry was posted in [pseudo]Science, Bible, Jesus, Ponderings, Time Travel and tagged Christians, God, Jesus, nature. Bookmark the permalink. If we’re lucky, God blesses us with a few folks who are willing to look beyond the flaws and see the person we try so hard to hide. And if we’re blessed, we find someone who’ll love us anyway. Kurtis Karr's Blog > Christianity > Bible > Was the Resurrection Really Supernatural? What If You Don’t Want To Live Forever? Atheism, Agnosticism and Religious Skepticism – What’s the Difference? How Do You Know You Have the Right Religion? Can You Ever Have Too Much Religion? Why Are Christians Not Considered Jews? What If You Don't Want To Live Forever? You Should Be Proud Of Yourself! Existential Proof of a Supreme Being? Did Jesus Have a Sense of Humor?